LET US KNOW OUR COUNTRY. BELIZE DISTRICT WAS KNOWN AS, THE CENTRAL DISTRICT. 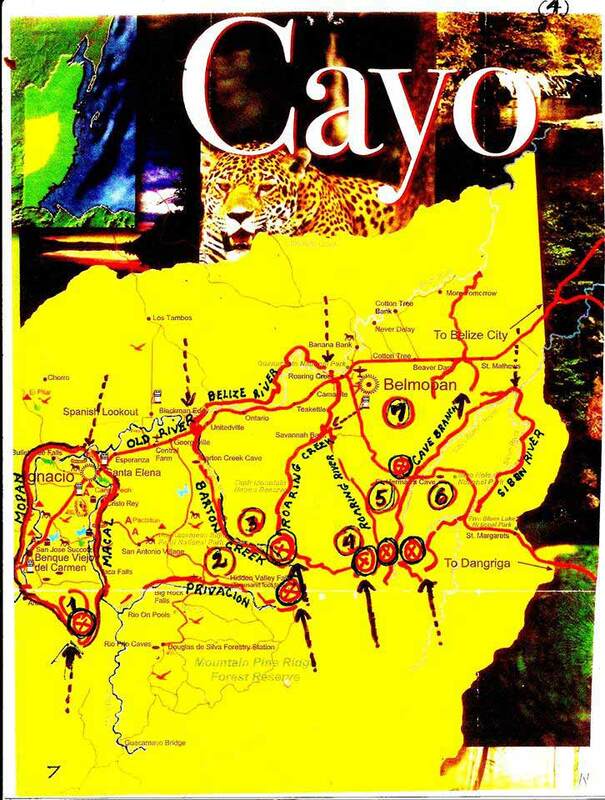 Let it be known how the Cayo District got its name, and the confusion created, surrounding this name. IN THE BEGINNING, there was a logging camp on that site, where the present Town Market is located. The work force built their homes on the foot hills nearby. A Statue of Sr. Ignatius of Loyola, Patron Saint of the Jesuits,was brought from Peten and placed in the little Chapel. This Statue of St Ignatius is now in Santa Elena Church for over 100 years, when people of other Faiths, dumped it by the river side. NOW BACK TO THE NAME CAYO. On November 23,1878, Mr.Henry Fowler, then Colonial Secretary for British Honduras, left Belize City on a Pit Pan ( there were no roads nor River Boats then ) and they pddlled up the River. When asked where he was going he replied, "I am going to the CAYE" ( in Spanish cayo and island ). WHY THE CAYE, or CAYO? This CAYO included, San Ignacio - Benque Viejo - San Jose Succotz, Arenal, Clarrisa and TIPU ( Negroman ). In 1960, the San Ignacio Town Board re-confirmed the original name of the Town and Officially named THE TWIN TOWNS OF SAN IGNACIO and SANTA ELENA. This was approved by the Central Government. Posted : Marty Casado - Fri, Apr 28, 2017 1:14 PM. This article has been viewed 2350 times.